The Merchant is an Irish pub in the Financial District that offers a wide selection of beer and menu of local pub fare. They make themselves known as a Traveller’s Tavern since taverns are friendly places for travellers to get together since the Middle Ages. I came here on their #TacoTuesday night where they had the $2 taco (chicken, beef, shrimp) special and $4.50 Modelo beer. The server mentioned the specials when he first greeted us, which was good. We were able to order the specials right away, which is what we came for. I ordered one beef and one shrimp taco plus a modelo beer. The tacos came pretty fast — this should’ve been a warning sign (red lights flashing)! The tacos were cold, and it wasn’t just because of the coleslaw. Even the beef on the beef taco was cold! Where did this beef come from? The shrimp, which was fried, wasn’t exactly hot as well as it should be when freshly fried. The portions were sad too. 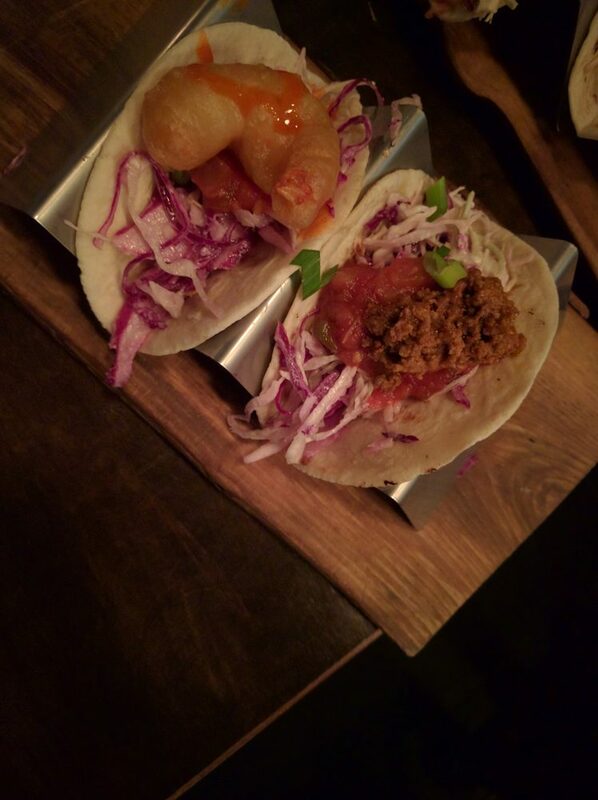 There was only one small piece of shrimp, heavily battered, on the taco, which pretty much covers 1/3 the taco. Great, now I get to eat wrapper and veggies for the 2/3 of the taco. The same goes for the beef. I would much rather go to El Cabalitto and pay $3.50 for their taco tuesday where I know my money is going somewhere. When the tacos came, the server asked if we wanted to order something else. We decided to split a Lamb Rogan Josh. Guess what? It came out so fast again! What’s good is they split the dish for us into two plates and the portions divided evenly in two. But you can tell it’s not freshly made as it came out in a matter of minutes from when we ordered. It seems like it was just microwaved, and not even long enough as the dish was warm instead of hot. Oh well, at least the beer was good. Looks like the food in this Traveller’s Tavern is not for the Travelling Foodie. 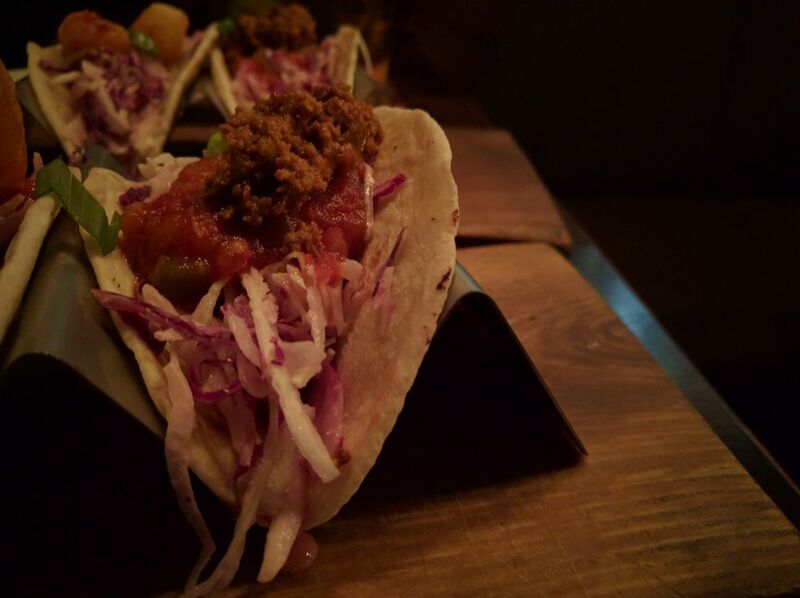 Posted on November 15, 2016 by Travelling FoodiePosted in Canada, Food, Ontario, TorontoTagged restaurants.